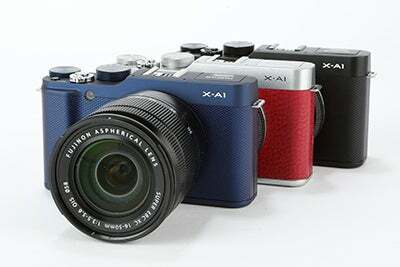 Fujifilm has launched the fourth addition to its growing ‘X’ series of interchangeable lens cameras in the form of the Fujifilm X-A1. Heralded by Fujifilm as a CSC aimed at those looking to make the step up to an interchangeable lens camera, the Fujifilm X-A1 certainly features a more entry-level aesthetic than previous models in the series. The Fujifilm X-A1 is the first camera in the X range to be available in several different colours, while the control set-up has also been modified. 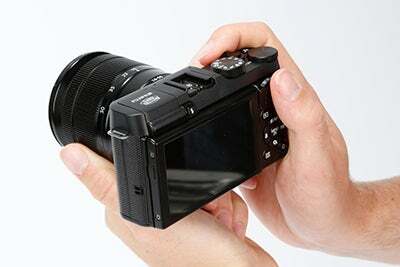 It’s now a more simplified affair offering quick access to both Advanced SR Auto and Advanced Filter shooting modes. These entry-level alterations don’t extend as far as the inner workings of the X-A1, and in this area the camera remains a serious affair. It features the same APS-C CMOS sensor as the X-M1 – which boasts a resolution of 16MP – while the sensor is paired with Fujifilm’s EXR Processor II. Fujifilm claims that the EXR Processor II will deliver a start-up time of just 0.5 seconds, as well as a maximum burst speed of 5.6 frames per second for some 30 frames. Other eye-catching features include a 3in, 920k-dot tiltable LCD screen and Wi-fi connectivity. The Fujifilm X-A1 is compatible with all Fujifilm X mount lenses, and as a result can be paired with the recently announced FUJINON XC16-50mm and FUJINON XC50-230mm optics. 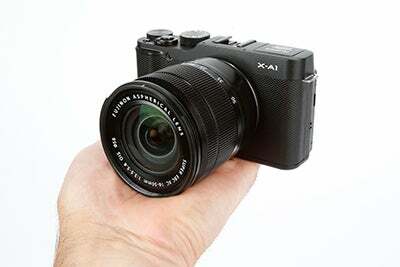 The Fujifilm X-A1 is also compatible with a lens announced just this month – the new Fujinon XF23mm F1.4R. This lens offers a focal length of 35mm in equivalent terms, features some 11 lens elements and has been treated with Fuji’s High Transmittance Electronic Beam Coating.